The NATC Fall 2013 Zuchtschau will take place on 16-17 November 2013. 121-A Industry Lane, Forest Hill (Harford County) MD. 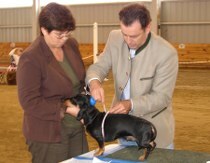 A Zuchtschau (conformation show), where dachshunds can receive written critiques from an FCI judge, will take place on Saturday, November 16th 2013 in Forest Hill, MD at the 4 Paws Spa and Training Center. 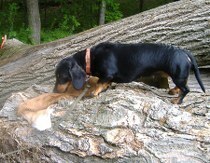 Sunday November 17th we are meeting for a outing with the judge at Gunpowder State Park at 10 AM. 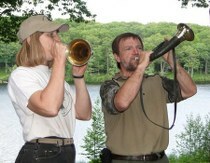 In case of rain we will have to make alternative plans and might visit Cabelas. 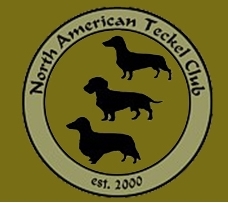 Each additional dog/same owner, dogs For Exhibition Only (FEO) and Puppies ( * Submission of an NATC membership application, will qualify the participant for the club rate. 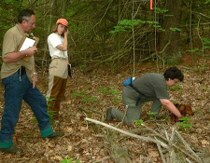 NATC 2013 Spring Seminars, Hunting Tests & Conformation Show will be held onJune 13-16, 2013. 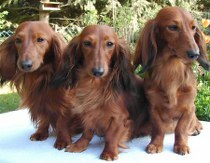 Our judge will be Wolfgang Trumpfheller, hunting and conformation judge from Germany. Fall 2012 Seminar and Related Events will be held on November 1-2, 2012 in Forest Hill and White Hall, Maryland. Our judge will be Frau Monika Wittkamp from Germany. 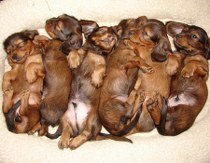 Click here for the Fall 2012 Zuchtschau Premium list, with more information and event schedule. 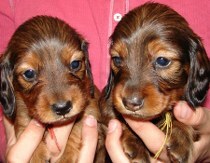 On Thursday, November 1, DTK/NATC Schussfestigkeit (gun steadiness) and NATC Small Game Test on rabbit will be offered. 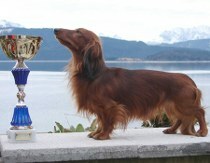 A Zuchtschau (conformation show), where dachshunds can receive written critiques from an FCI judge, will be held on Friday, November 2. 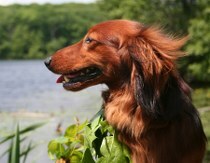 Judging occurs according to the FCI breed standard #148. Judge: Stefan Stefik from Slovakia. 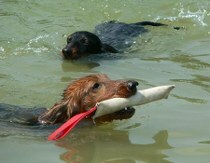 Training and testing will be offered for blood tracking, obedience, gun steadiness and water retrieval. 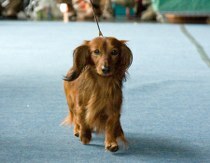 A Zuchtschau (conformation show), where dachshunds can receive written critiques from an FCI judge, will be held on Sunday, June 10. 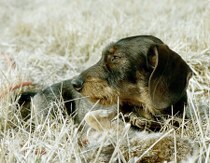 Judging occurs according to the FCI breed standard #148. Schuss and Wasser test entry form. NATC Fall Zuchtschau, November 17-19, 2011 in Reinholds, PA -- including Zuchtschau, BHP tests, Blood Tracking and Show Handling presentations, and more! 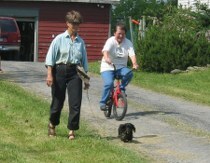 NATC Spring Seminar & Zuchtschau, June 6-12, 2011 in Rockaway, NJ -- including Zuchtschau, Tracking, BHP Practice & Tests, and more! 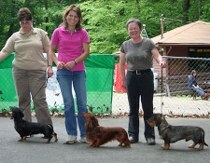 "North American Teckel Days", October 11-14, 2010 in Roscoe, IL -- including Zuchtschau, AWTA Den Test, BHP Demos, Practice & Tests, Gunsteadiness Test, Small Game Test, and Water Test. 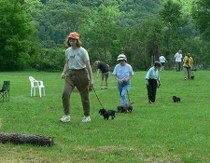 NATC events will be preceded and followed by AKC Dachshund Field Trials at the same location. Click here for more information.